Many elderly patients suffer from psychiatric conditions that result from--or are made worse by--existing medical conditions. 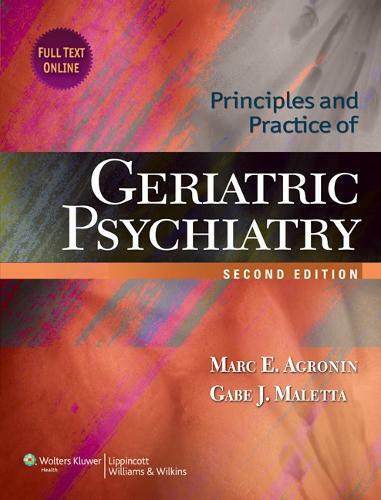 This new edition integrates clinical expertise needed to evaluate and treat psychiatric, medical and neurologic disorders in the older patient. Both scientific foundations of and clinical approaches to psychiatric disease are discussed by a range of experts who rely on evidence-based clinical guidelines and outcomes data. Most chapters include case studies that illuminate the approaches to diagnosis and treatment. The book's five sections include basic principles of evaluation and treatment for specific disorders; appendices offer further insight into pharmacotherapy and neuroanatomic foundation of psychiatric diseases.